Vertebral fractures are a break or crack in the vertebral body of the upper (thoracic) or lower (lumbar) spine. 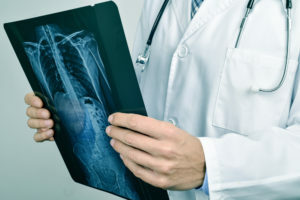 Osteoporosis is one of the most common causes of vertebral fractures due to a weakening of the bone but fractures can happen a variety of different ways. A compression fracture can occur during normal physical activity and is usually marked by the sudden onset of severe back pain. If a vertebral fracture is not addressed, especially a compression fracture, it can significantly increase the likelihood of future fractures in the adjacent vertebra, which in addition to height loss, perpetuates the ‘downward spiral’ of spinal degradation – often leading to deformities like a hunched back. Balloon kyphoplasty is a common surgical procedure to restore a vertebra. The procedure utilizes an inflatable balloon which is inserted into the vertebra and filled with bone cement. The overall goal is to restore the height of the vertebra, and prevent future deformities. Vertebroplasty is another method which involves injecting bone cement directly into the vertebra without the use of a balloon. The goal of this procedure is to stabilize the fracture in order to allow it to heal properly, while reducing pain in the area. 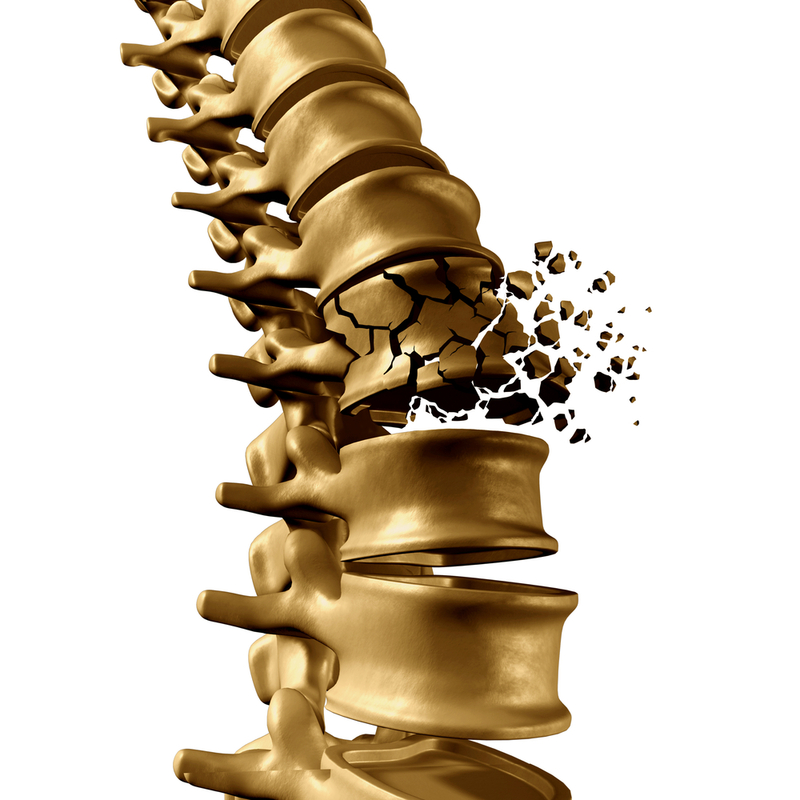 Advances and refinements of spinal restoration procedures have allowed kyphoplasty and vertebroplasty to relieve severe back pain, stabilize fractures, and prevent the downward slope of untreated osteoporosis. If you’d like to meet with our spine specialist, please give us a call at 904-825-0540 or request an appointment online.